Cassie spends her days watching Grandfather and Caleb in the barn, looking out at Papa working the fields, spying on Sarah feeding the goslings. She's an observer, a writer, a storyteller. Everything is as it should be. But change is inevitable, even on the prairie. Something new is expected, and Sarah says it will be the perfect gift. Cassie isn't so sure. But just as life changes, people change too. And Cassie learns that unexpected surprises can bring great joy. 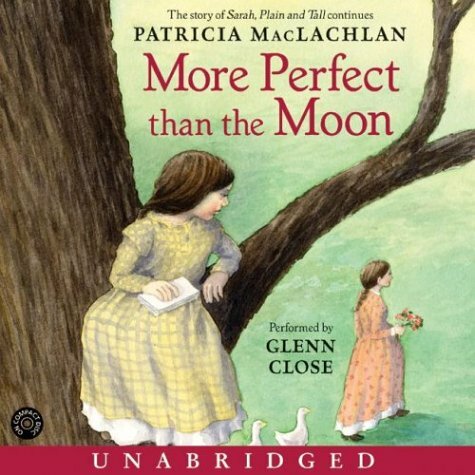 More Perfect than the Moon invites us back to the Witting family farm, visited in the Newbery Medal-winning Sarah, Plain and Tall; Skylark; and Caleb's Story. With her lyrical prose, Patricia MacLachlan writes about a family's boundless capacity for love.